“Extremely Catastrophic Super Typhoon HAIYAN (YOLANDA) has maintained its strength as it moves closer endangering the Visayas including Masbate. The potential landfall area of this super typhoon is likely along the eastern coast of Northern Leyte or Southern Samar on Friday morning. The municipality of Abuyog, one of the largest towns in Leyte province, faces the Leyte Gulf and looks out across the Pacific Ocean. Typhoon Yolanda devastated the town, including two of its important structures – the local municipal building, and civic center. “Despite the fact that the two-storey municipal building is made of concrete, it was still damaged by the typhoon,” local resident Edgardo C. Brillo explains. The central municipality of Alang-alang is situated near Tacloban City, and was devastated by Super Typhoon Yolanda. The typhoon’s fierce winds significantly damaged the town, along with government buildings including the municipal hall, public market and civic center. Before Yolanda, “the facilities were sufficient to the needs of the people,” Michael A. Alve, municipal engineer says. As the local government received the RAY DILG funding, repairs could begin immediately. In the days leading up to Super Typhoon Yolanda, Maria Victoria Lyra Dela Cerna, a local municipal and disaster management officer, was in Tacloban City for a seminar. “We knew that there was a typhoon coming. We prepared somewhat, and were told that it would be a super typhoon, but hadn’t really imaged that it would be a ‘super’ typhoon of that force. For a place like this, so used to typhoons, it was hard to imagine. The news reported that (the winds) would be up to 250 km/hr. Then all of the sudden it’s sunny outside. In the back of our heads, we thought: we just hope that this is not as bad as how they sensationalize it to be on the news, or how they exaggerate things because we are so used to typhoons. For some in the small town of Barugo, Leyte, Yolanda brought about memories of a time from almost two decades earlier: of the devastation wrought by Typhoon Undang. 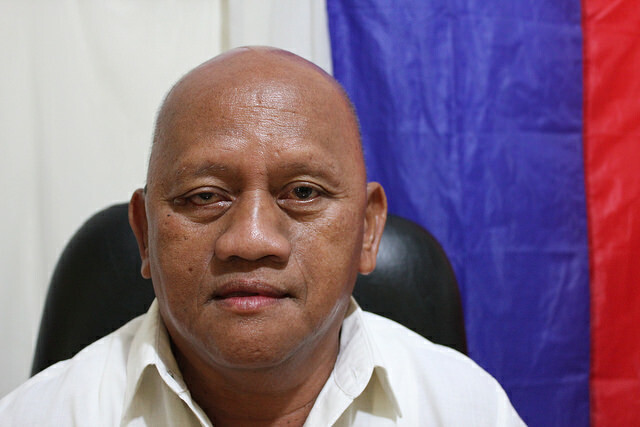 Teofilo Glenn M. Avestroz, Jr., a local municipal engineer, was in the municipal building both in the days leading up to Yolanda, and as it struck. “I slept until around 11 pm on November 7, then I woke up at 4 am when our mayor arrived,” he says. “Since we couldn’t sleep, I decided to cook up porridge for the evacuees. We were still able to deliver some of it to two local schools, which were being used as evacuation centers. 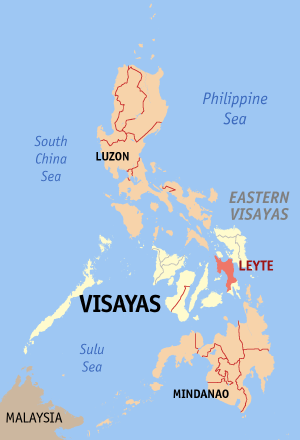 Baybay City, situated along the western coast of Leyte province, also experienced the onslaught of Super Typhoon Yolanda. City mayor Carmen L. Cari shared that before the landfall of the typhoon, they had forced evacuations and communicated to her people, even through Cable TV. “I announced the typhoon’s (impending arrival) twice. The first time, I was in a meeting with other disaster council members and I had it shown through television. We expressed our concern about Yolanda and asked the people to prepare water and flashlights. I remember hearing a joke that they should buy flashlights because mayor told them so. When they arrived at the store, the flashlight were already out of stock. Burauen is one of the biggest municipalities in Leyte province. With 77 barangays, the centrally-located municipality was heavily affected by Super Typhoon Yolanda. “Three days before the landfall of Yolanda, we announced a forced evacuation, and I asked the Philippine National Police Force (PNP) to help us,” Mayor Fe S. Renomeron remembered. As Yolanda struck, “the wind was very strong. The people at the community center were all crying and praying. We thought we’ll not survive it,” she says. The northern municipality of Calubian, situated opposite Biliran province, was not spared as Super Typhoon Yolanda struck the Leyte province. “The civic center was already functional before Yolanda struck our town. It can accommodate large number of people in our community,” Lavern C. Llosa shares. The RAY DILG fund extended the assistance for the installation of new roof and other works which includes concrete reinforcements, electrical works and re-painting. the Disaster Risk Reduction Management Council (DRRMC) was telling people to evacuate, as they expected this to be a strong typhoon. Yolanda was the worst typhoon I have experienced. It was the strongest. There are no typhoons that I can compare it to, with that kind of strength. During the typhoon, you will really ask yourself if you will survive. Situated on the northern province of Leyte and across the Carigara Bay, the municipality of Carigara was one of the badly hit towns in the province. Leo Salvacion, a former barangay captain and current local government employee, explains how he was among those who monitored evacuees in the civic center during Yolanda. 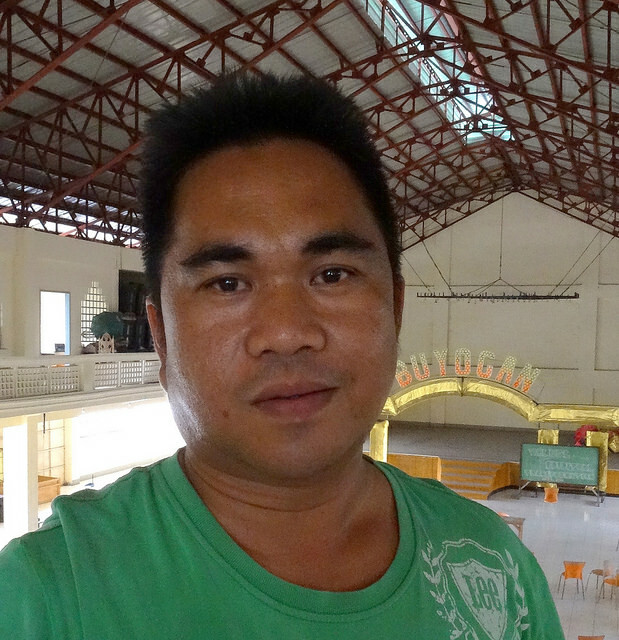 “We used our gymnasium (civic center) as our evacuation center, but when Yolanda hit us, it damaged most of its roofing. 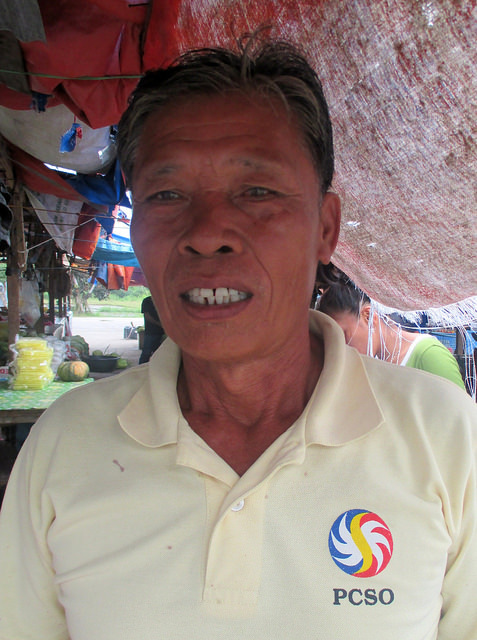 As Yolanda hit us, it was all just a matter of time,” Dagami Mayor Abundio I. Delusa remembers. He tells his story:“In the first thirty minutes, visibility had reduced to zero. We really didn’t know what to do. I cannot even explain it…Most of the buildings and houses were damaged. The people were left homeless. We just relied on relief goods because even agriculture – the trees, vegetables, and crops – were all badly damaged. On its eastern side, the coastal municipality of Dulag faces the Leyte Gulf. The quiet, largely agricultural municipality found itself in the ‘eye of the storm’ during Super Typhoon Yolanda. 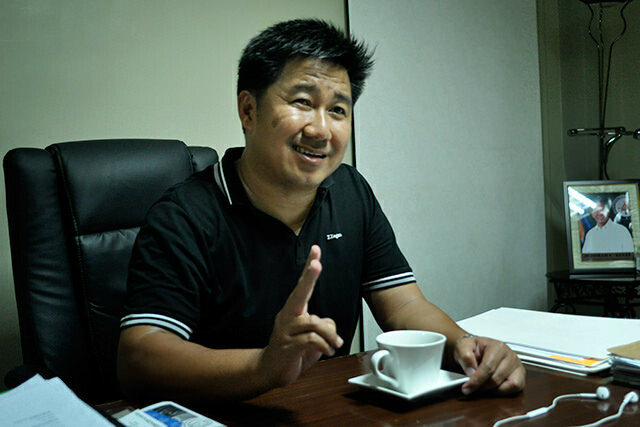 “We were very much prepared here, in our LGU (municipality). I stayed in the municipal building until the typhoon arrived. I wasn’t able to go home because of the big winds. Four days before the typhoon, a tornado happened here. There were around 71 houses that collapsed because of the tornado, and that was before Yolanda. (That’s why) I have no problem evacuating the people who live along the coastal barangay, because of the tornado. It was early on November 8, 2013 that the coastal municipality of Isabel, Leyte, met with Super Typhoon Yolanda. 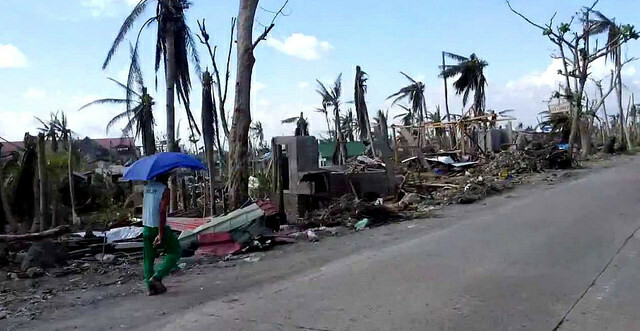 The municipality of Jaro, Leyte, was shattered by Super Typhoon Yolanda: with almost ninety percent of the municipality flattened by the gale-forcewinds and strong rains. Roberta ‘Betty’ B. Lego, a registered nurse, was one of those who helped to provide much needed medical support during the disaster. She has since become part of of the local MDRRM team. This is her story: of survival and resilience, and of life and of death. “By November 6, residents who live along the river side evacuated here in the gymnasium (civic center), as this served as an evacuation center. Of course, some were hesitant to evacuate because the weather was fine. Like many of those in the coastal municipality of Javier, on November 8, 2013, Anabelle P. de Paz feared for her life. A local municipal employee, she remembers the early preparations – and the devastation – of the Super Typhoon. “We began feeling the arrival of strong winds at around 7:00 am. We were especially nervous, since my had father died on November 6, and on November 8, we had intended to hold his wake. Two years on, and post-Yolanda recovery continues in municipality of Julita, Leyte. The municipality of Kananga were left largely devastated by Super Typhoon Yolanda. A town dependent on agriculture, farming and sustainable crops, these vital industries suffered extensive damage. The public market also sustained significant damage. These losses proved especially difficult for local market vendors, who found themselves both without crops to sell, or a space in which to sell them. Martin P. Aledro, a protocol officer at the La Paz municipal hall, remembers Yolanda as both ‘terrible and unforgettable’. typhoon belt,” he says. “But Typhoon Yolanda was different. “It was a terrible and unforgettable experience. 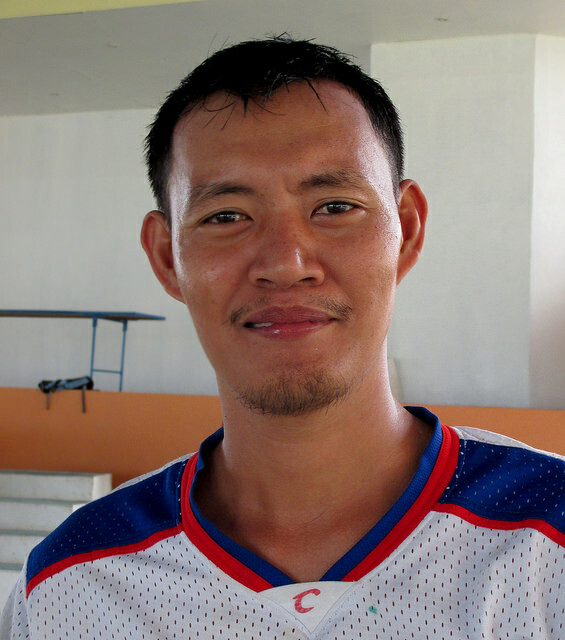 Almost everything was damaged – from houses, trees, vehicles to buildings, Yolanda didn’t miss a thing,” he says. As Super Typhoon Yolanda neared Leyte, in Leyte, Councilor Roque F. Rojas Jr. was stationed in the local civic center: a prescribed evacuation center for local citizens, seeking refuge. Soon after, Yolanda’s gale-force winds began lashing at the building. The slogan of MacArthur, Leyte are the words made famous by the man after whom the municipality is named: “I shall return.” This message of hope and resilience is one that resonated strongly after Yolanda’s landfall. A day earlier, municipal Mayor Rene R. Leria instructed local MacArthurnians to evacuate to pre-assigned evacuations centers, including nearby schools, the local civic center and municipal hall. Many who evacuated to the centers lived in nearby coastal areas: elsewhere, it proved sometimes difficult to persuade people to evacuate, given the perceived familiarity with typhoons, and typhoon season. For residents of the inland municipality of Mahaplag, Leyte, Super Typhoon Yolanda proved a terrifying experience. Local resident Kenneth M. Salas recalls the typhoon’s gale-force winds and heavy rain. 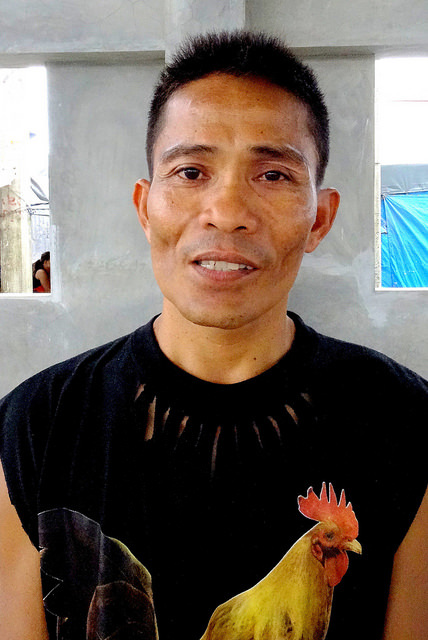 “If the rain hadn’t eventually stopped, then Mahaplag would have totally drowned,” he says. The landlocked municipality of Matag-ob, situated at the western part of Leyte province, was also hard hit by Super Typhoon Yolanda. 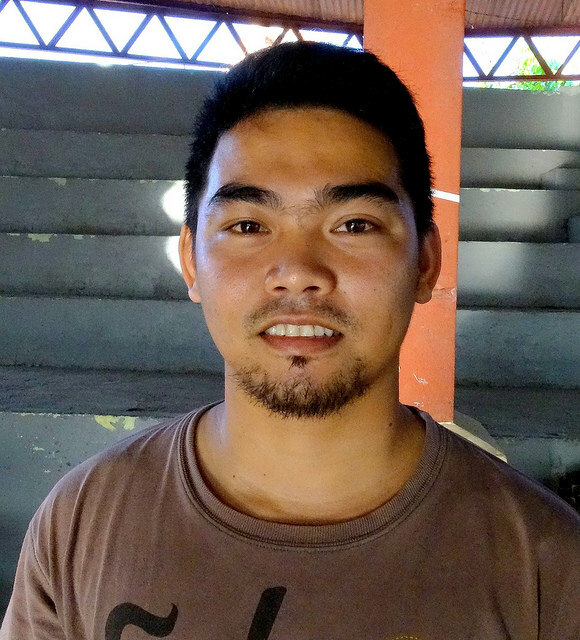 For Marvin, a resident of Mayorga, Leyte, a single word best describes Super Typhoon Yolanda. The hard-hit coastal municipality experienced widespread destruction, seeing damage to basic government infrastructure: including the local civic center, municipal hall and public market. The Merida public market suffered extensive damage during Super Typhoon Yolanda. RAY DILG funds provided for the repair of the roof installation of new doors and windows, improved ceilings and electrical works, painting and drainage. Since its rehabilitation, the market now serves as a vibrant, comfortable and resilient space for vendors and patrons alike. On the morning of November 8, 2013, Arthur C. Arcuino, who the n worked at the local city assessors office, left work early to prepare for the arrival of Super Typhoon Yolanda. This is his story. “In 1991, Ormoc had experienced flash flooding during typhoon Uring. Back then, we heard thunder, but had no idea that a cyclone was ravaging some of our mountain barangays. The devastation was massive, with huge numbers of casualties: even more than Yolanda. To Palo, Leyte, Super Typhoon Yolanda brought gale-force winds, tsunami-like storm surges and heavy rains. This wreaked havoc on local homes and infrastructure. Hundreds were killed while many more remained missing. “People here became aware of ‘storm surges’ after typhoon Yolanda. Prior to then there was never a typhoon here that was that strong. One hundred ago perhaps, but not in my living memory. When Super Typhoon Yolanda struck Leyte province, the eye of the storm passed through the municipality of Palompon. Destruction was wrought upon some 80% of the town’s homes and infrastructure, while storm surge waves were estimated to reach a height of some 4 meters. For Ramon Oñate, Palompon’s municipal mayor, the memories of super typhoon Yolanda are of numerous challenges, and the benefits of early preparation. “At around 06:00 on November 8, we could sense that the strong winds had arrived,” he says. “Most of the houses were damaged: 393 were partially, and the rest entirely. That night, the residents slept under ‘the roof of the sky’ since their houses had no roofs, anymore. Later, some made temporary roofs out of coconut and banana leaves. Mayor Susan Yap Ang did not expect that the DRRM training workshop she attended in September 2013 to be put into practice on November 8, 2013. For residents like Marlene B. Supatan, of San Miguel, Leyte, memories of Super Typhoon Yolanda could only be described as terrifying. Marlene, along with other local residents, evacuated to a nearby elementary school in the lead-up to the typhoon’s arrival. Among these, the destruction of the local public market saw devastating impacts upon local vendors and patrons who rely heavily on the market to sustain local food supplies. Zosima A. Cordaño, the city treasurer, remembers November 8, 2013 and the days to follow like they were yesterday. Here, she tells her story. Typhoons are ‘nothing new’ to the townfolk of Villaba, a coastal municipality situated in western Leyte. 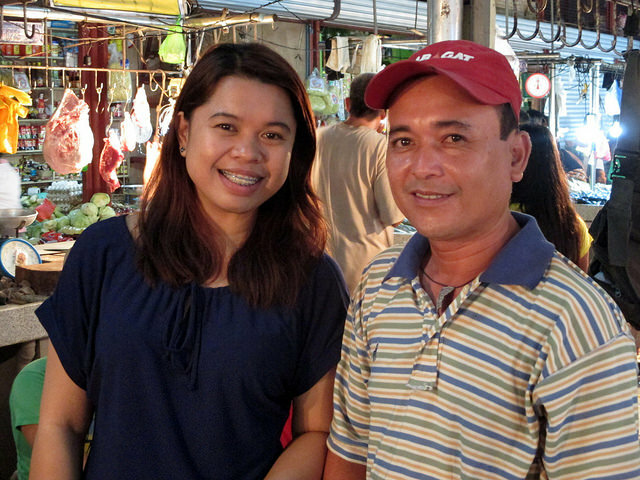 “Typhoons really are part of our lives, especially as we are facing the sea,” Myrna Ombajen, a local market vendor explains.